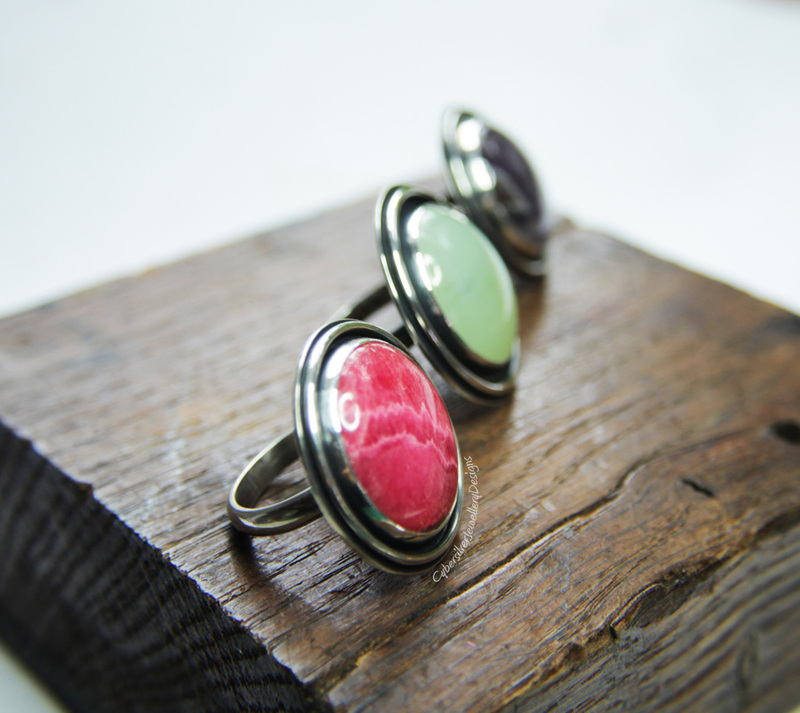 Stand out from the crowd wearing this amazing statement ring. 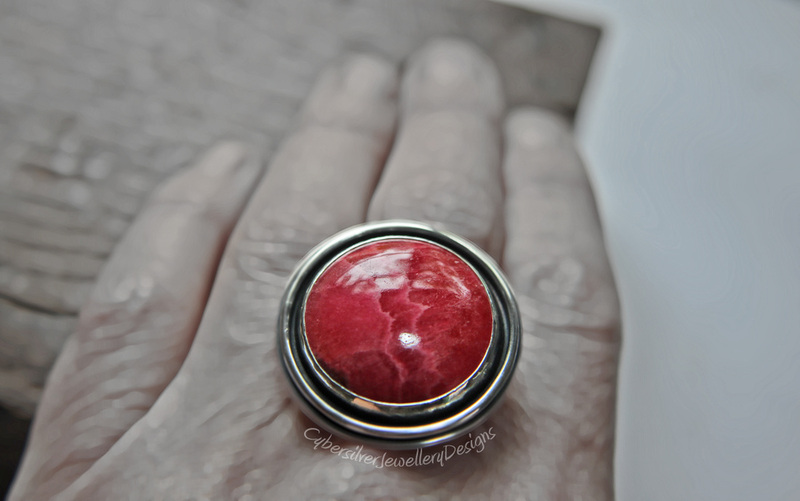 This stunning ring is constructed from solid sterling silver by me in my Oxfordshire studio and is a substantial piece of jewellery. 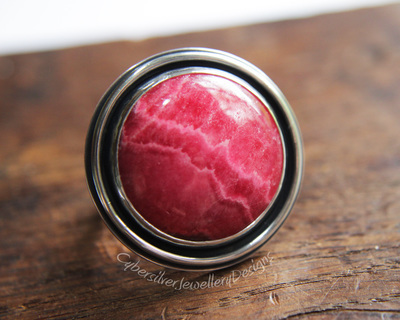 The setting measures approximately 31 mm wide and is created from thick sterling silver encircled by a raised border and set with a huge Rhodochrosite gemstone. The silver has been oxidised, highlighted and finished with a layer of protective microcrystalline wax. Oxidisation is a surface treatment which can continue to wear to a beautiful grey. 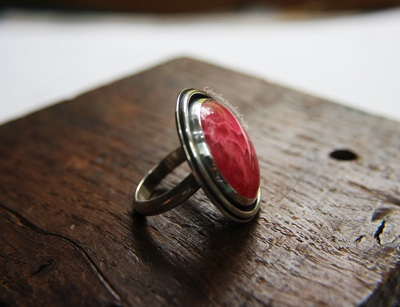 Dispatched within 5 working days - if you require your ring sooner please message me and I will see what I can do.